When nothing else will do, it’s time to experience a Porsche. Tampa, Florida dealer Porsche of Tampa offers the finest selection of Porsches in the area as well as an outstanding service facility. Whether you are in the market for a new Porsche or a fine pre-owned model, we have an excellent selection. Our helpful, friendly sales staff and skilled mechanics make Porsche of Tampa the area’s finest Porsche dealer. 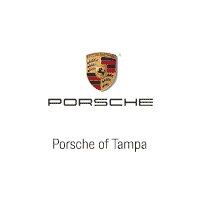 Tampa customers and Porsche enthusiasts statewide select Porsche of Tampa for our unparalleled service and selection. Porsche of Tampa is ready to put you behind the wheel of your dream car. Whether you are looking for a new or pre-owned Porsche, you can request a quote from our Porsche of Tampa dealership. Porsche of Tampa, your premier Tampa Porsche dealership, has the selection and service you expect.